Immediate financial savings and ROI in just over 3 months. 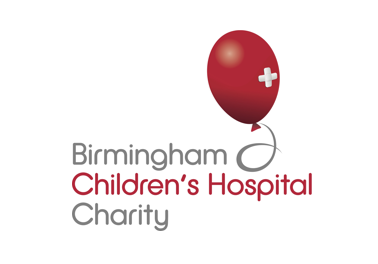 Founded in 1862 Birmingham Children’s Hospital employs 2,500 people who serve an area with a population of 5.3 million in the West Midlands and treats nearly 250,000 children each year. It is the only children’s hospital in the United Kingdom to offer both an Emergency Department and the full range of specialist, ‘tertiary’ clinical services and has a world renowned intensive care unit, paediatric clinical research facility and burns unit. With more than 1,700 PCs across the organization and with almost the same number of user requirements, finding a manageable solution was always going to be a major challenge. The concept of ensuring PCs were not being fully powered down when not needed was welcomed by all within the Trust, but the ‘how’ was an area of conflict and difficulty. To have no impact upon users yet be able to save energy when safe to do so. Achieve rapid, measurable savings to help meet the Trust’s essential cost reduction and Carbon Reduction Commitment (CRC) targets. IT needed to be able to manage the delivery of patches and updates to support machines. Meet the needs of the business and organizational policies, accommodating different work patterns and behaviour with no negative impact on productivity. The team at the Trust recognized the benefits that PowerStudio could offer. They decided to take advantage of the free 30-day proof of concept to capture ‘baseline data’ of the current energy usage before deploying power saving policies and collating the new usage information, providing a clear ‘before’ and ‘after’. Central implementation and training in one day. The ability to accurately identify and measure usage of machines enabled power-saving policies to be tailored to suit user demand and be non-intrusive. Critical systems to be identified and removed from any power-saving policies. Low cost of implementation and immediate savings achieved an ROI in just 3 months. Help with PC maintenance, upgrades and patching work (completed out-of-core hours) that required PCs to be switched on by scheduling them to Wake-Up when required and power down again afterwards. An immediate financial saving, with an ROI in just over 3 months. Risk-free identification of savings potential with a free, no-obligation 30-day proof-of-concept trial. Increased control to wake-up and power-down machines. Involvement of the user community internally in carbon reduction initiatives, and raising the profile of the organization externally by recognizing ‘green’ credentials. Reduced the number of Carbon Credit purchases under Carbon Reduction Commitment (CRC), further reducing cost to the business. What we got with PowerStudio was a smooth implementation without impact on the existing system. There was no noticeable rise in the calls to help desk during the implementation stage, the flexibility of the software meant that personal preferences were quickly identified and met and some slight changes in policy in some areas were all it took to get everyone working happily.